In the aftermath of World War II, the British government invited thousands of people from Caribbean countries in the British Commonwealth to immigrate to the United Kingdom and help address the war-torn country’s labor shortages. Now, nearly 70 years later, many of those same people, now elderly, are having their legal status in the country questioned and are facing deportation. 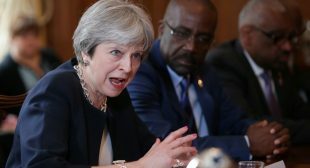 Though the deportation threats date as far back as October, the crisis burst into wider view this week after Caribbean diplomats representing a dozen Commonwealth nations chastised the U.K. government publicly. “This is about people saying, as they said 70 years ago, ‘Go back home.’ It is not good enough for people who gave their lives to this country to be treated like this,” Guy Hewitt, the high commissioner from Barbados to the U.K., said at a gathering of the diplomats.